If this Cambrian animal seems familiar, it is for good reason. 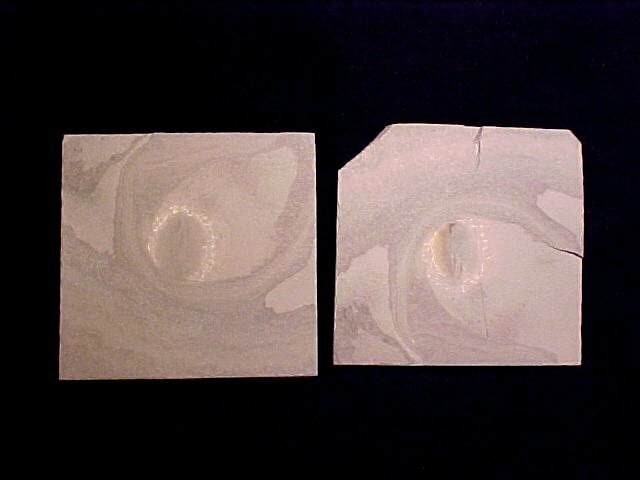 It looks like Naraoia compacta (described by Walcott in 1912) from the Burgess Shale. This would make it a member of a clade of animals known as Nectaspida, an order of soft-bodied Arthropods, closely related to Trilobita. 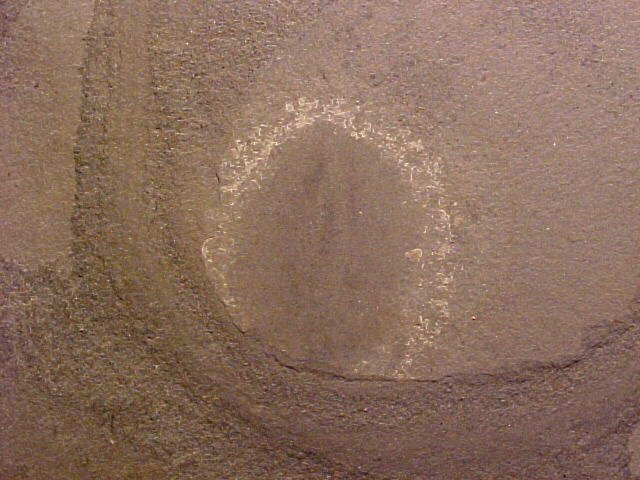 The prevailing view is that the Nectaspida are a sister group to the clade which includes the calcified trilobites. 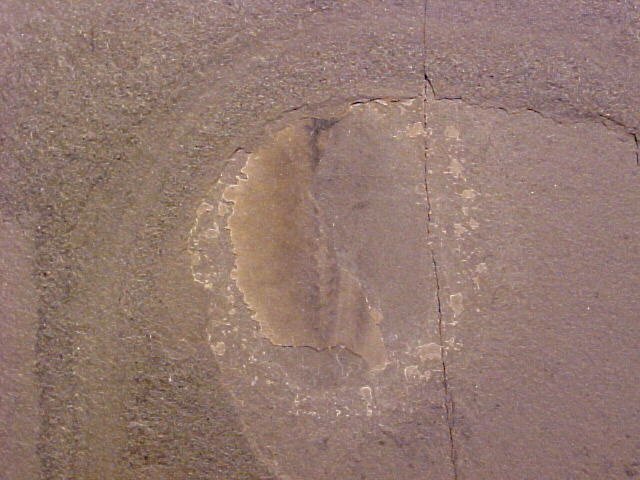 The revised Treatise adopts the tactic of treating the naraoiids as a family within the class Trilobita, order "uncertain," thereby acknowledging a systematic position within the class, but allowing the formal definition of Trilobita to be based upon the characters of calcified forms (Fortey 1997, p. 294). Fortey, R.A. 1997: Classification. In Whittington, H.B. et al. 1997: Treatise on Invertebrate Paleontology Part O Arthropoda 1 Trilobita, Revised, Volume 1: Introduction, Order Agnostida, Order Redlichiida. The Geological Society of America and The University of Kansas. Gould, Stephen Jay 1989: Wonderful Life. Penguin. 347 pp. Walcott, C.D. 1912: Middle Cambrian Branchiopoda, Malacostraca, Trilobita and Merostomata. Smithsonian Miscellaneous Coll. Publ. 2051, v. 57: 145-228. Gould wrote: "Even if complexity is only a drift away from a constraining left wall, we might view trends in this direction as more predictable and characteristic of life's pathway as a whole if increments of complexity accrued in a persistent and gradually accumulating manner through time. But nothing about life's history is more peculiar with to this common (and false) respect expectation than the actual pattern of extended stability and rapid episodic movement, as revealed by the fossil record."